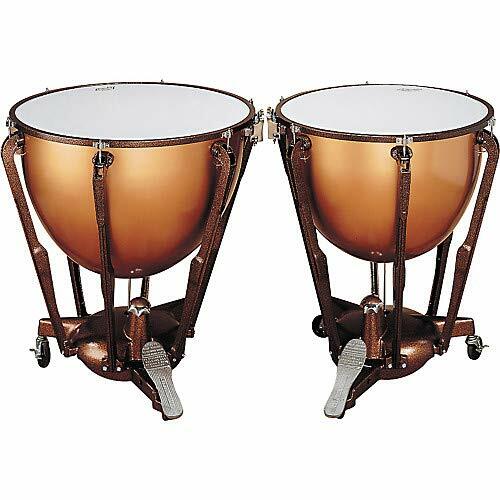 Ludwig Standard Series Timpani feature 6 support struts and rods, a deep-drawn seamless kettle, tuning mechanism inside the kettle, patented Balanced Action pedal, and Standard Series tuning gauge. Note that the 20″ kettle is aluminum. Available in 23, 26, 29, 32″ with no gauge or available in 20, 23, 26, 29, 32″ with pro gauge.